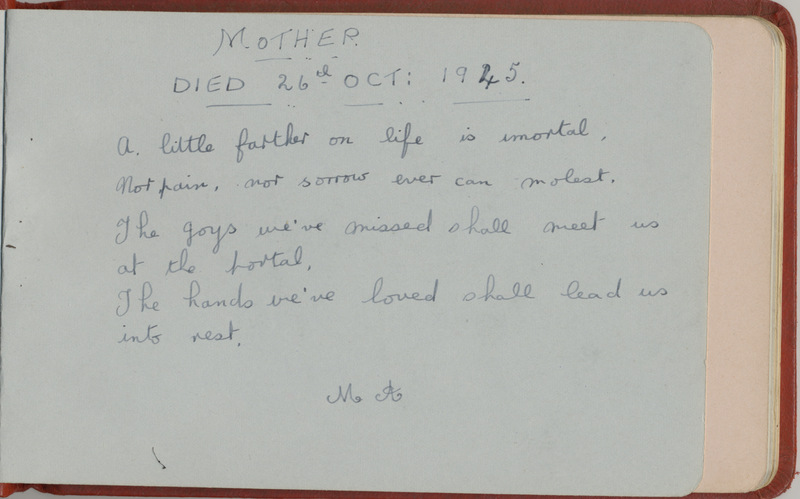 Page from World War II autograph book dated 1939 and belonging to May Stratford (formerly May Ascott). A little farther on life is imortal, Not pain, nor sorrow ever can molest. The joys we've missed shall meet us as the portal, The hands we've loved shall lead us to rest.